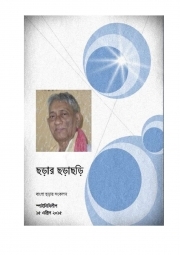 Description of "ছড়ার ছড়াছড়ি (eBook)"
Reviews of "ছড়ার ছড়াছড়ি (eBook)"
Poor quality. No rhyme is maintained in the book, though the name is "ছড়ার ছড়াছড়ি". I couldn't enjoy even a single page of the book. BAD BAD BAD.